The board members of the proposed Athens County Transportation District will hold a special meeting for the purpose of electing officers, reviewing organizational bylaws, establishing regular meeting dates, and reviewing proposed projects.  The meeting will take place on Monday, May 15,2017 at 1pm at the Athens County Engineer’s Office. The Athens County Engineer’s Office is advertising for bids on the 2017 Roadside Mowing Program. Look at the Bids and RFP’s page under the “Information” menu for more details.